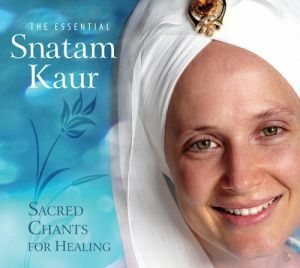 The Essential Snatam Kaur - Sacred Chants for Healing CD from Snatam Kaur of Eastern traditional Gurmukhi mantras and chants for kundalini yoga and healing enjoyment. From one of the most recognized voices in the world of sacred chant comes a heartfelt collection of music for the soul. Immersed in the kundalini tradition since birth, Snatam has toured the world offering inspiring and uplifting music to sold-out crowds. With a gift for transforming Eastern traditional chants into contemporary sound that appeals to a wide variety of listeners, Snatam takes us on an inner journey through her favorite selections for healing,strength, and peace.